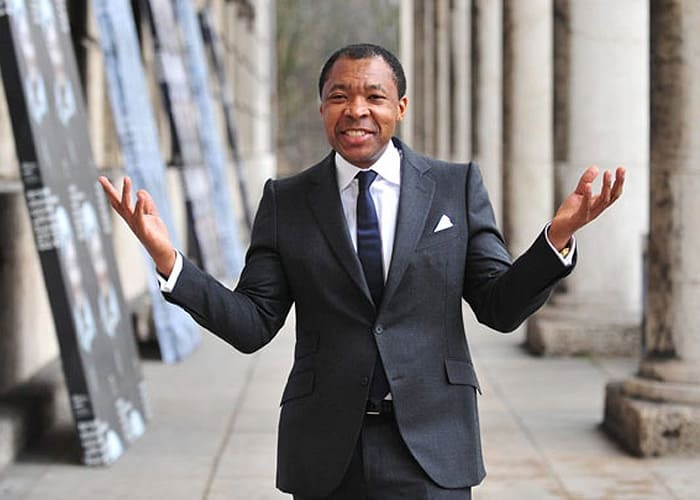 Okwui Enwezor, Nigerian art critic, art historian and curator, has announced his resignation as Artistic Director of the Haus der Kunst in Munich, citing “health reasons”. Having served on the board since 2011, Enwezor’s other notable pursuits include curating the 2015 Venice Biennale titled ‘All the World’s Futures’, co-authoring the widely-acclaimed publication, Contemporary African Art since 1980, and the 2016 Haus der Kunst exhibition, ‘Postwar: Art between the Pacific and the Atlantic’. Enwezor was also the curator of the 2nd Johannesburg Biennale, titled ‘Trade Routes: History and Geography’. He emerged onto the global art scene in 1998 after curating Documenta 11, and has since established himself as, perhaps, the most influential curator of the last quarter-century through large-scale exhibitions that considered art in a global, political, and social context. Okwui Enwezor leaves the Haus der Kunst in Munich, Germany. © picture-alliance / dpa. Haus der Kunst’s recently appointed Chief Executive, Bernhard Spies, and the Chief Curator, Ulrich Wilmes are set to lead the museum until a new Artistic Director is appointed. FEATURED IMAGE: Haus der Kunst, Munich. Image courtesy of Wikimedia Commons.